Here’s my top 10 gift ideas for Dad! You’re sure to be touted as the world’s coolest child because all these ideas are also all primal, natural, organic, and eco friendly! I can 100% recommend these products fully as either I, my husband or a member in my family have all enjoyed these immensely. 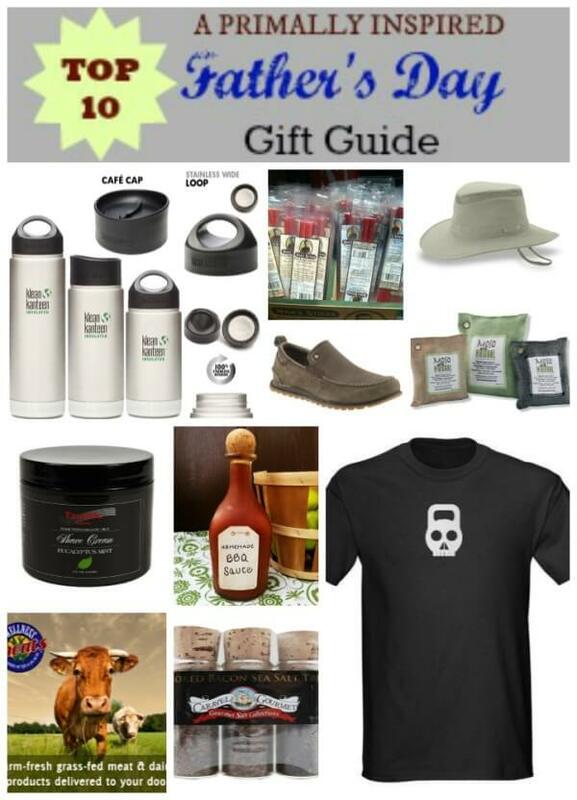 Don’t have a lot of moo-lah to spend on Dad this year? Don’t worry, I got you covered. 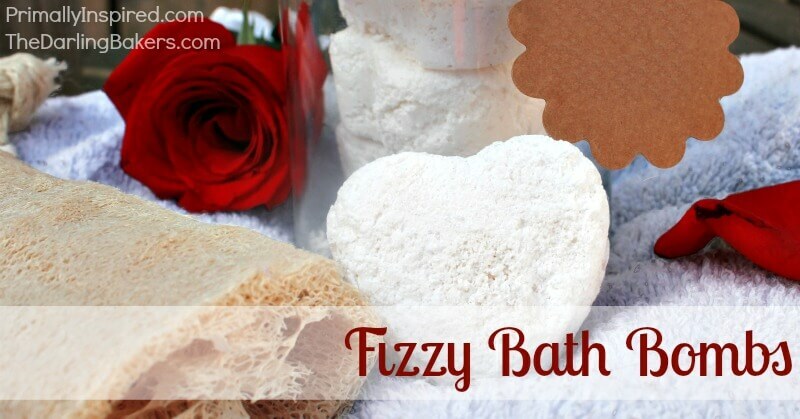 I’ve included products ranging from homemade to $100, with the majority of the products falling along the $20 range. 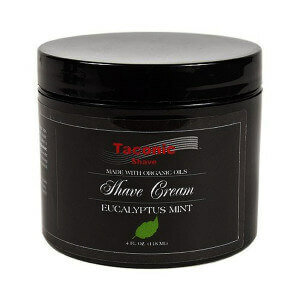 Spoil the dad in your life with this luxurious organic shaving cream. Not only does this smell downright amazing, but it works amazingly well. A little goes a long way with this product, so this container will last your dad nearly a whole year. 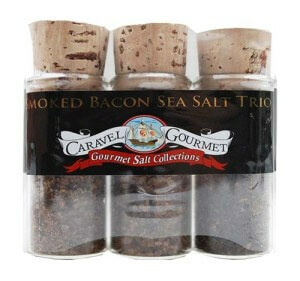 A gift set of smoked bacon and onion, smoked bacon and chipotle and smoked peppered bacon sea salts. Best. Gift. Ever. Need I say more? 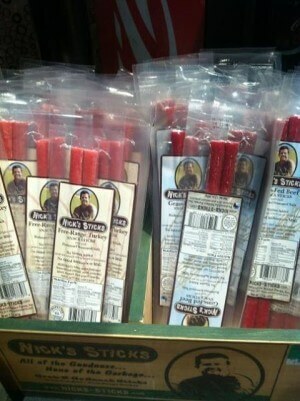 These delicious beef jerky snacks are made with grass-fed beef and organic sea salt. No sugar, no nitrates and no funky ingredients. Just pure, natural goodness that any dad will love! 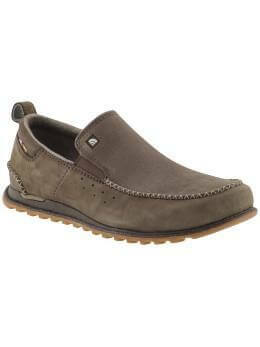 This shoe is rugged, tough, and stylish just like dad. Plus it also boasts some serious eco credentials! These treads contain a 100% post industrial recycled mesh sockliner cover with AgION Compression molded, Northotic footbed with partially recycled Poron inserts for enhanced comfort Cork infused, compression molded EVA midsole 40% recycled gum rubber outsole. It even contains all natural bamboo charcoal to keep sweat and odors at bay. 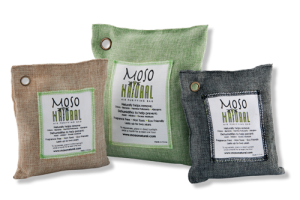 I’m crazy about these natural bamboo charcoal air purifying bags and chances are your dad will be, too. 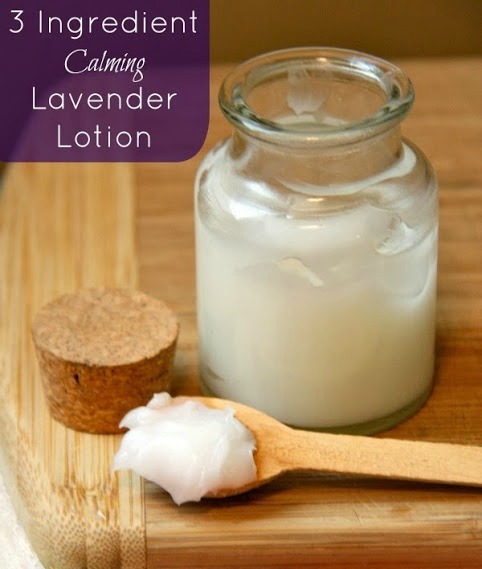 They absorb odors, bacteria, harmful pollutants and allergens. It also dehumidifies, which helps prevent mold and mildew. It’s even been scientifically proven to reduce harmful chemicals including formaldehyde, ammonia, benzene and chloroform gasses emitted from items such as paint, carpeting, furniture, air fresheners, chemical cleaners, rubber and plastic! These last 2 years and come in a variety of sizes to fit your needs. Stick the smaller sized ones in gym bags, pet areas, closets or vehicles and larger ones in garages, basements or offices. I haven’t met a guy yet that doesn’t start drooling once I whip out this homemade BBQ sauce. 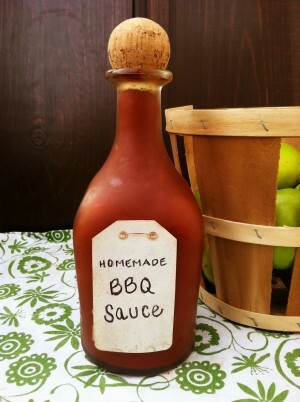 Homemade presents are always the best, so break out the pots and pans and whip dad up some of this award winning BBQ sauce that he’s sure to love. 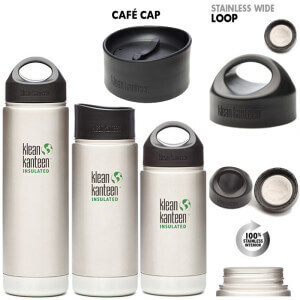 This super durable canteen keeps hot beverages hot up to 6 hours (it really does!) and cold beverages cold for up to 24 hours! It’s stainless steel and contains no bpa or other toxins. It also has a nice extra wide mouth for easy filling. 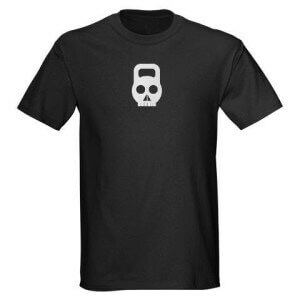 If your dad is into crossfit or just loves crushing workouts with kettlebells, chances are he’ll go crazy over this skull kettlebell t-shirt! Comes in a few different colors, too. This is a great option for the outdoorsy dad who has it all. This completely hand sewn hat is lightweight, features a secret pocket to secure money or keys, and is guaranteed to not wear out for life! 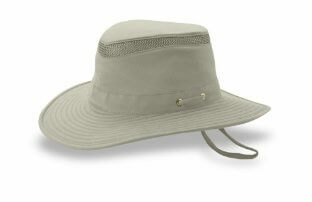 The fabric is both certified organic and certified as an SPF 50+, the maximum rating given. What dad doesn’t appreciate a big juicy, tender steak from cows that lived a happy life eating grass their whole life? Support your local farms and farmer’s markets, if possible, but if you don’t have an organic farm near you, US Wellness Meats is a wonderful option. 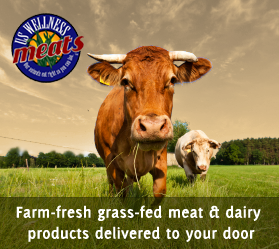 They have a huge variety farm fresh meats from healthy, pastured animals that are delivered right to your door. What are you getting the special man in your life for Father’s Day? 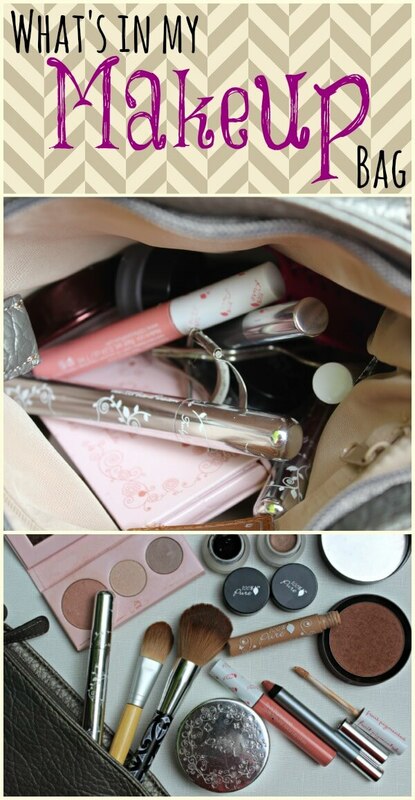 Do you know any other good gift ideas that should make the list? 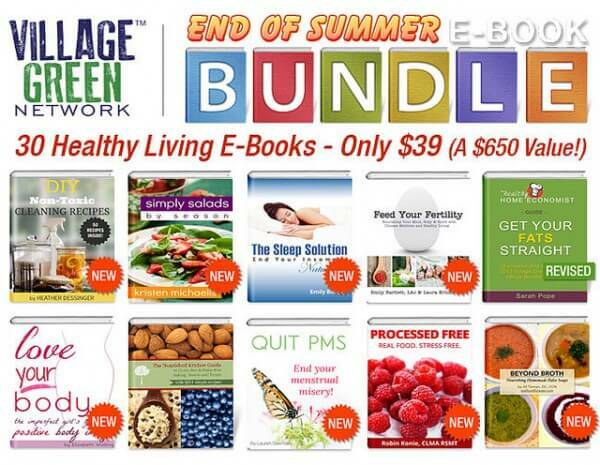 NEW End of Summer E-Book Bundle sale! 30 Books for $39 this week only!